With the JAPAN BLOG DIRECTORY we want to contribute of the community of Japan fans. We strive to make it a place where you can find information on nearly all aspects of Japan. 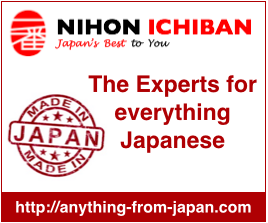 This directory is managed by NIHON ICHIBAN, a leading shop for authentic Japanese products. actually i love Japanese culture. Every attempt to have my blog listed failes. What am I doing wrong ?